How Far is Paradise Sai Symphony? Welcome to Sai Symphony. 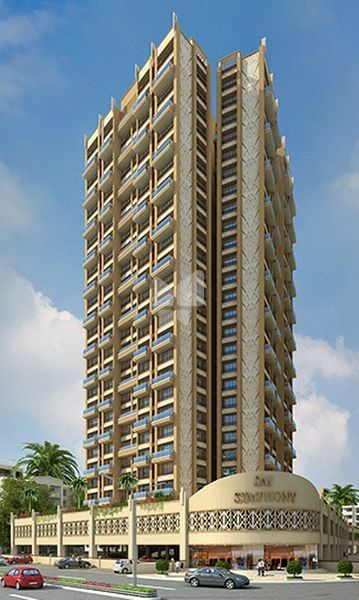 Standing true on your expectations, it is a luxurious project with an abundance of exceptional features. With the best of the architecture, Sai Symphony is a perfect expression of space and design. Located in the serene environment of Kharghar, every inch of the luxurious residence gives you a feeling of luxury, space and a capability to always deliver more. Branded exhaust chimney and three / four burner gas hobs. Counter wash basin with basin mixture in master toilet. One mirror above wash basin. Shower panel in master toilet. Attractive main door with elegant big handles and night latch. Designer laminate / sun mica finish flush doors in every room with handles and locks. Anodised aluminium sliding windows with tinted glass. Marble and granite window sill. Premium quality plastic paints on nterior walls. One wall highlighted with wall paper in living and master bedroom. Branded concealed copper wiring with isolator / MCB. 3-phase electric meter connection for 3 BHK and 1-phase for 1 & 2 BHK Branded electrical fittings. TV, telephone and internet points in all rooms. Video door security systems in each flat with cameras at the entry gates.